Home COMELEC Philippines Politics Supreme Court Supreme Court APPROVED Bongbong Marcos VP Protest vs Robredo "Election Cheating"
Supreme Court APPROVED Bongbong Marcos VP Protest vs Robredo "Election Cheating"
PHILSTAR: The Supreme Court (SC) has allowed the electoral protest of former senator Ferdinand Marcos Jr. against Vice President Leni Robredo to proceed, rejecting her plea to have the case dismissed for lack of jurisdiction. The SC, convened as the Presidential Electoral Tribunal (PET), said it has jurisdiction over the case as mandated by the Constitution. In questioning PET jurisdiction over the electoral protest, Robredo said the matter should have been raised before Congress when it was still acting as the National Board of Canvassers. Robredo had also sought the dismissal of the case for “being insufficient in form and substance.” She also cited failure of the Marcos camp to specify in detail her questionable acts or omissions. In an eight-page resolution dated Jan. 24 but released only yesterday, the PET ruled that the sufficiency in form and substance of Marcos’ election protest is beyond question. “On the matter of the sufficiency of the protest, the same [is] already beyond dispute. With the issuance of the summons, the Tribunal has found the protest to be sufficient in form and substance,” the ruling read. “The protest contained narrations of ultimate facts on the alleged irregularities and anomalies in the contested clustered precincts, which the protestant needs to prove in due time,” the PET ruled. Marcos filed the case last June 29 to contest the result of the vice presidential race allegedly won by Robredo through cheating. Marcos lost to Robredo by over 260,000 votes. He asked the PET to annul about a million votes cast in Lanao del Sur, Basilan and Maguindanao. Robredo filed her response last August seeking the dismissal of the protest. Robredo’s camp brushed aside the PET ruling, saying it’s part of procedure. Her lawyer Romulo Macalintal said the ruling does not prove Marcos’ allegations that last year’s automated election was rigged. “It only means that the PET will proceed with the case. It does not in any way reflect the validity or merits of any allegation of fraud or irregularity contesting the proclamation of Vice President Leni Robredo,” Macalintal said. “The case would still go through the usual tedious and lengthy process of revision and recount of the ballots. The ballot boxes and their contents would be retrieved from various provinces to be brought to the PET for the recount,” he added. He said PET simply declared the complaint of Marcos sufficient in form and in substance. “It should be emphasized that the purpose of assailing the substance of Marcos’ protest is to verify its compliance with the strict requirements of the rules as applied by the Supreme Court in various election protest,” Macalintal said. “Our aim is to expedite an early resolution of the case in order to avoid further speculations on its status,” he stressed. Sen. Francis Pangilinan said the PET decision was a big disappointment. Pangilinan is president of the LP, which is chaired by Robredo. “However, we wonder how the protest was found to be sufficient in form and substance when, until now, no discrepancy in the election results have been presented?” Pangilinan said in a statement. He appealed to the PET to exercise the highest discretion in making decisions as any mistake or misjudgment could affect the integrity of the “greatest exercise of democracy,” which is the election. The senator also urged Filipinos to remain vigilant and steadfast in protecting and supporting Robredo. Meanwhile, Interior and Local Government Secretary Ismael Sueno said he is not bothered by reports that Marcos would eventually replace him. Sueno said he has been going around the country to disseminate information about President Duterte’s anti-poverty programs and his plan to shift to federalism. 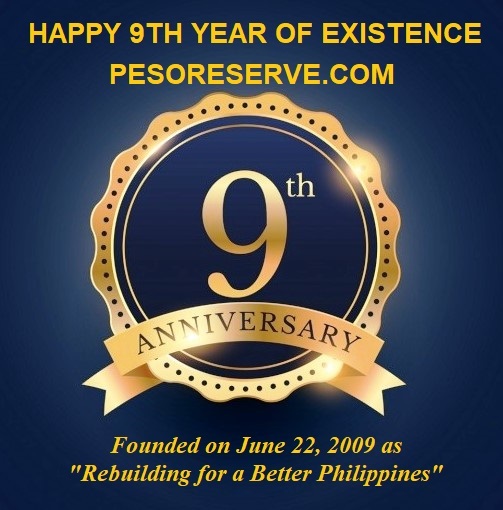 “We serve at the pleasure of the President. It is within his power, wisdom and discretion to appoint members of his Cabinet,” Sueno added. “With the information being floated about the change at the helm of DILG, I take no offense whatsoever. It is business as usual for me as I dispense my duties and functions, with the blessings of President Duterte,” he explained. 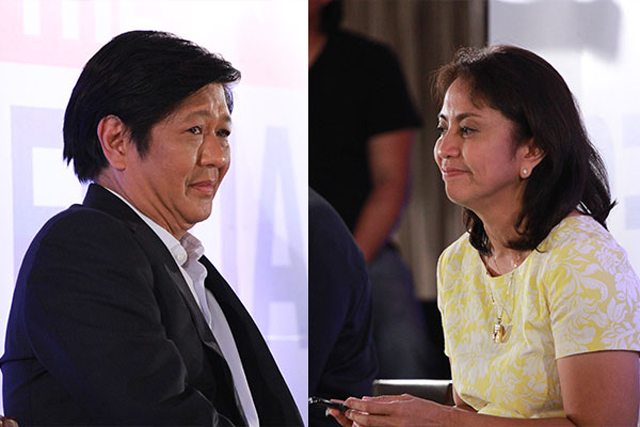 Marcos was reportedly set to return to the political scene soon as the new DILG secretary. Duterte is reportedly making preparations for Marcos’ entry into the Cabinet after the year-long ban on appointing losing candidates in the May 2016 elections.